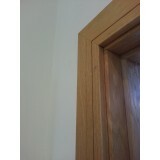 We have a excellent range of Door Architraves in many different finishes in Oak Architrave, Walnut Architrave, Red Deal Architrave, MDF Architrave, Solid Oak Architrave, Daiken Grey Architrave and primed Architraves. 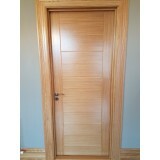 Oak Frame & Moulded Architrave Set Pre Finished surface on door frame and architraves ..
Oak Frame & Shaker Architrave Set Pre Finished surface on door frame and architrav..
Doras Daiken Grey shaker architrave comes finished with a durable wood effect laminate shaker profil..
Doras Daiken Walut shaker architrave comes finished with a durable wood effect laminate shaker ..
Deanta Victoriana Primed Architrave Set. 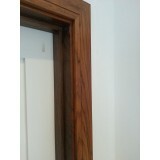 Each set covers both sides of door. 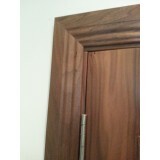 Dimensions 100mm ..
Deanta Walnut Shaker Architrave. 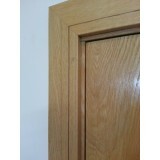 Comes sealed and lacqured 80mm width 2200x18mmx80mm Archit..
Deanta Oak Architrave Moulded Profile 80MM X18MM Sealed and Lacqured Finish. 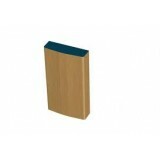 pack contains 4..
Oak Architrave Shaker Profile 80MM X18MM Sealed and Lacqured Finish. 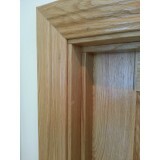 pack contains 4 styles 2.20m..
Oak Frame & Architrave Set (Engineered) Comes Pre-Finished sealed and lacquered Door Frame..
Oak Frame & Architrave Set (Engineered) Pre Finished frames 2no 2.1M and 1no 1010m Pre Fin..
Deanta Oak Victorina Architrave Set. 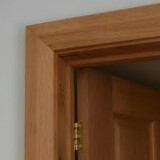 Pre Finished Sealed & Lacquered Pack Contains 4n..
Deanta Oak Veneer Wells Architrave Set. 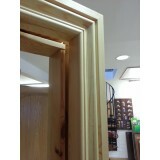 Pre Finished Sealed & Lacquered Pack Contains..
Adjustable Red Deal Door Frame & Architrave Set Pre Finished. 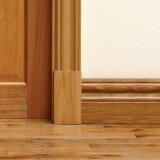 Set 1 x door frame. 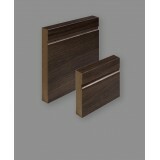 5 x 2,1mtr ..
Deanta Oak Heel Blocks/ Plinth Blocks Size 210mm x 110mm x 25mm Pack Contain 4 Heel Blocks ..
Walnut Moulded Architrave Set. 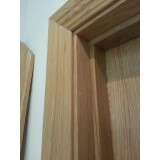 Comes sealed and lacqured. 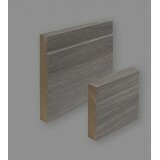 Pack comes with 4 styles and 2 heads. ..